These blue foil sachets use ID Glide® Water based lube. The sachets contain 3 ml of lube. One side will consist of your design or message and the other will be ID Glide®'s branding. Our propietary printer prints directly onto the foil of the lube sachet. Product Dimensions: 2 inches by 2 inches. Imprint Area: 1.5 inches by 1.5 inches. It is not possible to print a full bleed (edge to edge) on this option. 500 pieces for blue foil. We are working to bring new foil colors online. These blue foil sachets use ID Glide® Water based lube. The sachets contain 3 ml of lube. One side will consist of your design or message and the other will be ID Glide®'s branding. Our proprietary printer prints directly onto the foil of the lube sachet. After your artwork is approved, it will take 7 - 10 business days before we will ship your order. We will do whatever it takes to meet your event date. If you require a faster production time, please call us at 866-997-6542 or email us at support@sayitwithacondom.com. It all depends on the quantity you're ordering. You can select the quantity of custom condoms you would like to order by clicking "Order Now" and proceeding to the shopping cart where you can estimate shipping costs. Full color print directly onto the foil of the lube. 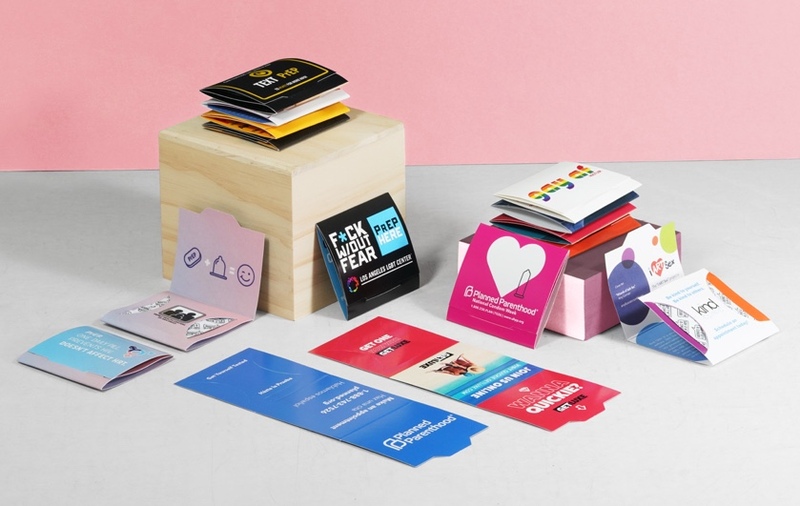 Please use our design tool to create your custom lube packets. Once we receive your order, if we feel that it will not print right, we will contact you before proceeding with production. Yes! Just click the "Design Now" link above and upload your artwork. You will be able to design your custom lube packet online. If you need graphic design assistance, we can provide this to you at $95.00 an hour. If you want to design your customized lube packet yourself and know how to use any of the popular design programs like Adobe Illustrator or Photoshop, please download our design templates and follow the instructions. If you need help creating your design, we're here to help. Just call, chat, or email us.